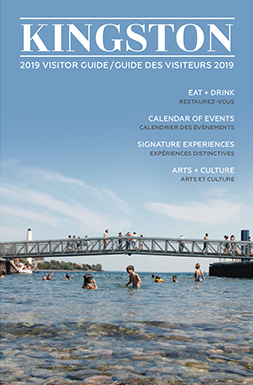 The Kingston Waterfront might not see much traffic during the colder months, but when spring and summer hit, one of Kingston’s favourite attractions starts to comes alive! Spanning over 8km, the possibilities are endless! 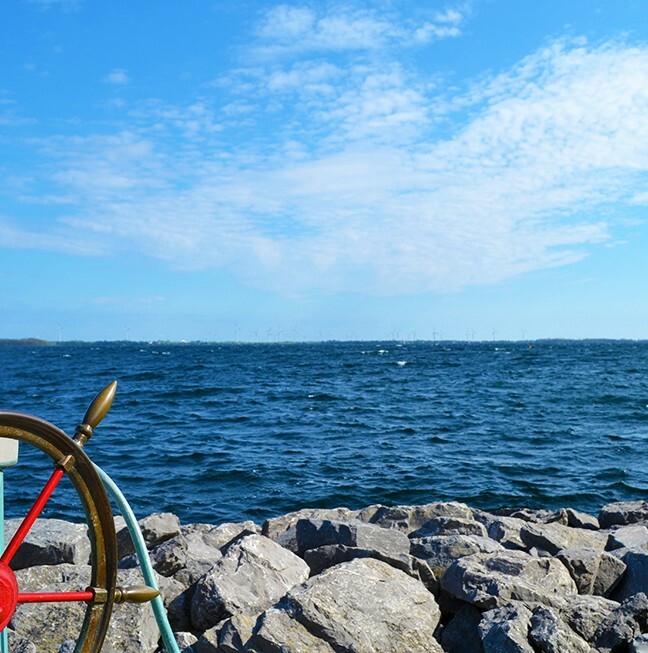 You can hop on a bus tour, enjoy a boat cruise around the 1000 Islands, or take in a free ride on the Wolfe Island Ferry! 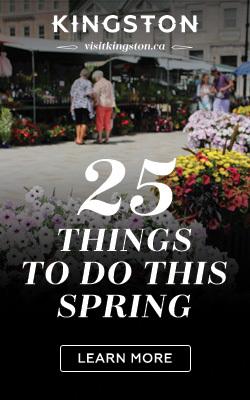 Don’t underestimate a leisurely stroll along the Waterfront Trail or along the streets of Kingston, either! Enjoy the historic buildings and settle down afterwards at one of the many downtown patios for a refreshing beverage while looking out onto the water. A calming view to admire. A serene spot a few steps away from Kingston General Hospital and Queen’s University. Consider the waterfront an opportunity for self-discovery and an outlet for entertainment. 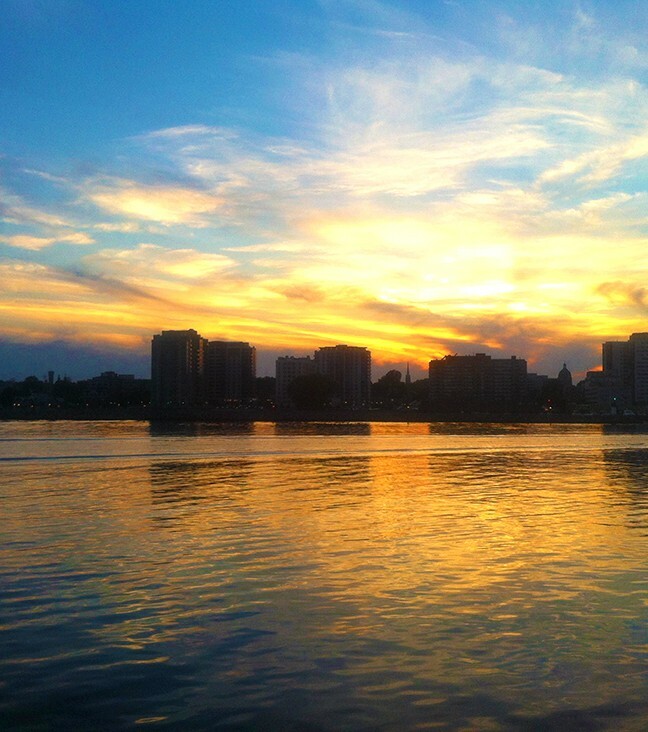 Whether you want to learn how to stand up paddleboard or just enjoy the warm glow of an evening sunset, Kingston’s waterfront is for young and old with many breathtaking spots. A view from Ahoy Rentals – Kingston’s only on the water equipment rentals. There are plenty of opportunities for water sports along the waterfront: try your hand at boating, canoeing or kayaking! If you left your equipment at home, Ahoy Rentals is located a quick 10 minutes away on Ontario Street and will rent you whatever you need to hit the water! 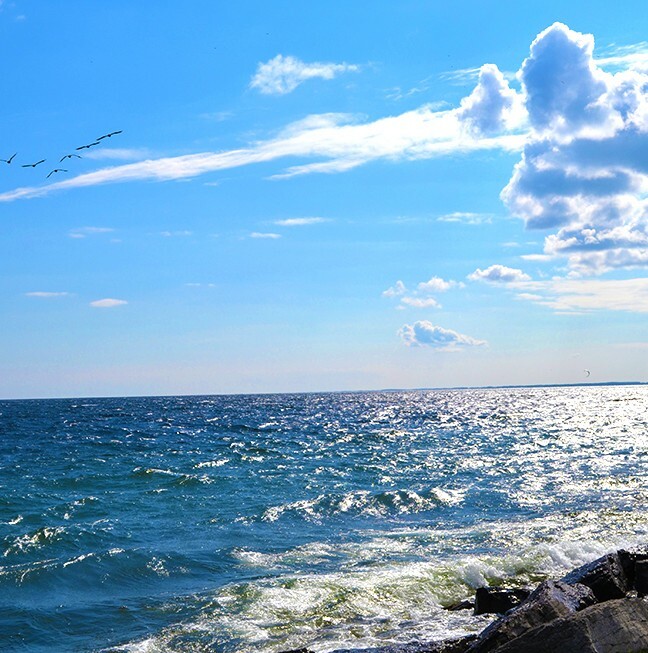 Paddle your way along the shore or glide along on one of their many sailboats, taking in the beautiful, historic views of Kingston from the water. 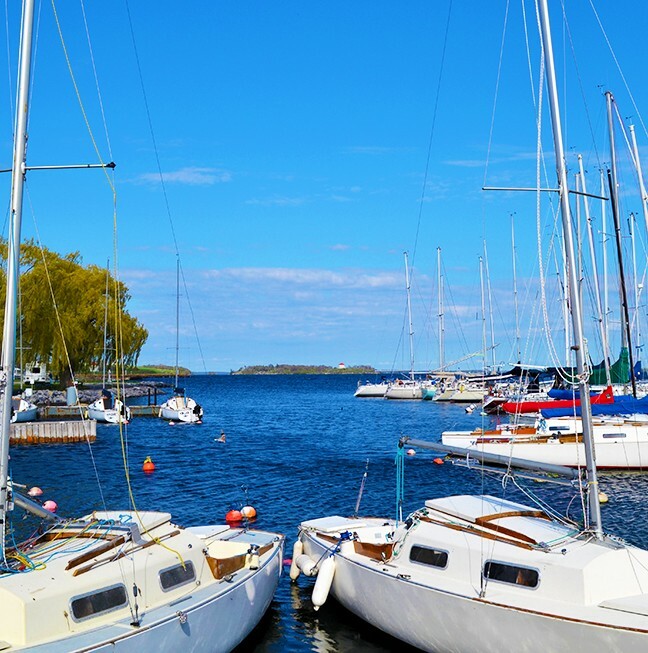 Kingston Yatch Club – a premier boating club in Eastern Ontario and the Thousand Islands. Portsmouth Olympic Harbour – a venue for special events. 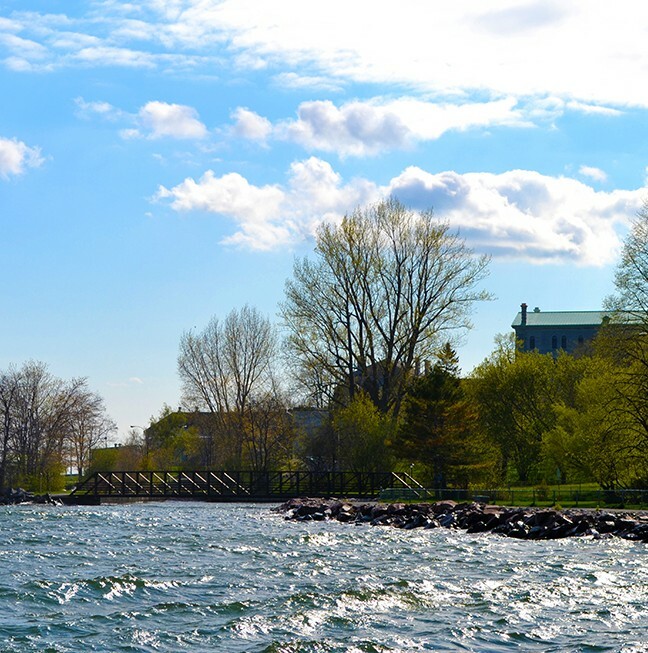 Given its picturesque views, it’s no wonder that Kingston’s shores are home to the Kingston Rowing Club, Yacht Club and Canadian Olympic-training Regatta. The city’s numerous water sports and events are considered a crown jewel of the city, fostering community involvement and participation from the most affluent sailor, to the newest enthusiast. 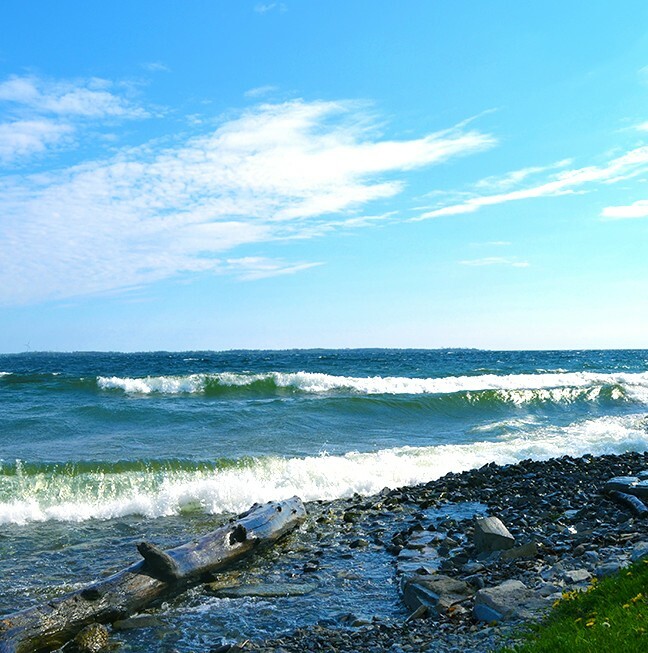 If you’re an avid biker or enjoy walking, then the Waterfront Trail is for you – a pathway connects downtown Kingston to the newly renovated Lake Ontario Park and beyond. Pack a picnic and you’re ready for a day of adventure and exploring in town! Start your journey at The Common Market, a café on King Street in the waterfront community and enjoy a cool iced latte. No bike? Don’t worry! Bike rentals are also available at Ahoy Rentals! Sunset on Kingston’s waterfront from the Wolfe Islander III. On a warm summer afternoon, Kingston feels like an ancient city enjoying its youthful vigor. Students, professionals, retirees and tourists are all out admiring the stunning views from the shore or cruising along on water. Step outside your door and the Kingston Waterfront awaits you – fish, sail, swim, or waterski!